“Physically-based” and “devising” are sufficiently broad terms as to incorporate a wide range of very different objectives, techniques, and styles. However, in general, the terms identify an approach to theatrical creation and performance for which text is not accorded primary or “sacred” status—indeed, one in which text may be secondary in terms of its “authority” within the developmental process and secondary in terms of the order in which the performance elements may be selected and incorporated into the final production. 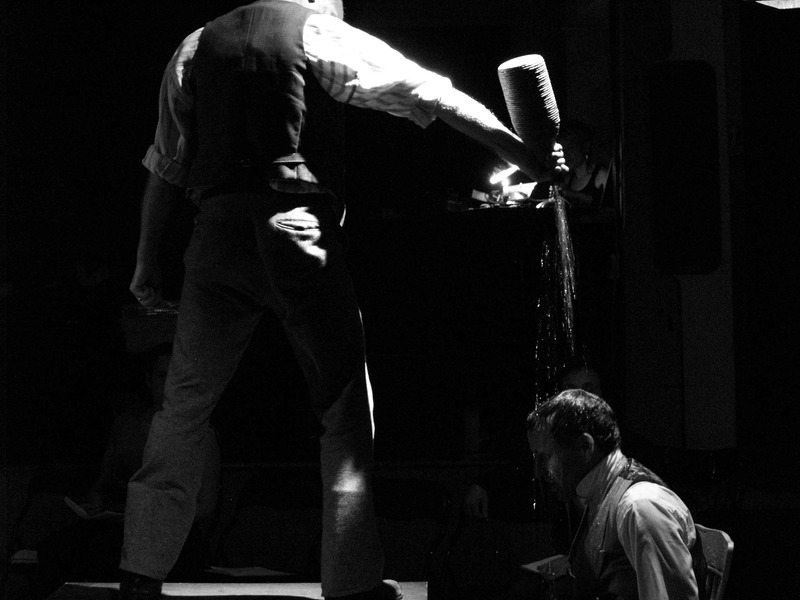 Rather, in devised theatre the elements of visual and aural presentation, as well as the work’s engagement with narrative, equally emerge out of a set of often collaborative processes that are based in movement, song, and collage and that employ improvisation and collective composition with systematic discipline. As is repeatedly observed within the articles collected in my edited essay collection Developing Nation (2009), as well as my extensive introduction to that volume, several decades of scholarship have argued that the development of professional theatre in this country generally adopted an early and defining preoccupation with text-based, largely realistic theatrical forms and conventions, against which all alternative stylistics were measured in terms of social relevance, commercial viability, and aesthetic value. Ironically, the aesthetic priorities of many of devising companies reflect and extend this literary bias through a paradoxical relationship to writing and written text—a reality that leads directly to the proposed point of entry and sustained focus of this project’s theoretical basis and chosen methodology. What is called for are dramaturgical strategies that treat all modes of expression (including textual expression) as interwoven acts of composition, in a manner related to J.L. Austin’s “speech act”: a use of words that does work, that has affect (or, at least, which attempts to do so) (Austin 101-08; Loxley 6-21). Put simply (and not simply at all), what is called for is dramaturgy attuned to the overt interactuality of the devised theatre context. The key objective of this study, then, is to articulate a theoretical perspective that can potentially heighten and broaden a devisor’s ability to identify and work with possible connections, patterns, and intersections (physical, textual, conceptual, etc.) drawn from within the full range of compositional modes as they interact. 3) to establish a conceptual vocabulary for cross-process exchange and collaboration among physically-based devised theatre practitioners in Canada and beyond. Ultimately, the intention is to develop, apply, analyze, and revise a conceptual vocabulary for cross-paradigm exchange and collaboration among physically-based devised theatre practitioners and their audiences, both general and scholarly.